Sixteen (16) fat quarters (approximately 18" x 22") cut from the entire Sonata collection by Amy Sinibaldi for Art Gallery Fabrics. 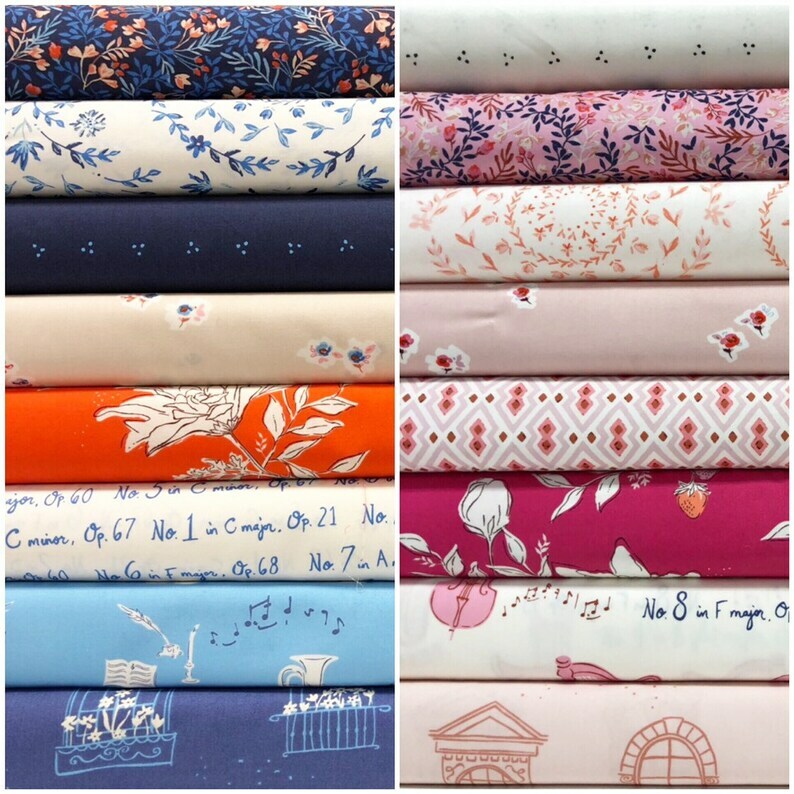 100% woven cotton, quilting weight. Price shown is per fat quarter set.